Juan Cuadrado To Manchester United? Home La Liga Barcelona Juan Cuadrado To Move To Manchester United? Juan Cuadrado To Move To Manchester United? Juan Cuadrado, the Fiorentina and Colombia starlet, is wanted by many clubs this summer after the amazing World Cup he had in Brazil. But the real contenders in the Cuadrado race seem to be the Catalonia giants, Barcelona, as well as The Red Devils. 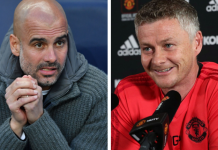 Although Barcelona are believed to be firm favourites in the race to sign the talented South American, Manchester United have recently emerged as the dark horses as they look to push through another transfer move. The most crucial element in this transfer will remain Louis van Gaal’s determination to get the player, as Cuadrado has earlier stated that he is keen to play in the English Premier League and is looking forward to testing himself in the “most challenging league”. 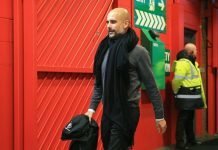 The lure of Barcelona, however, may prove to be too tough to resist for the Columbian, but if Barcelona look elsewhere, Manchester United could profit from this situation. Lots of convolutions were going around as the Colombian’s agent confirmed that there was interest from many clubs but no deal was close. Most recently there are speculations that Manchester United have made an official deal of about £29 million. The Italian club is asking for a price of around £40 million, showing a considerable difference in their valuation of the attacking midfielder. 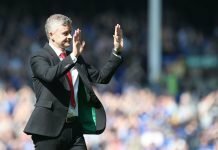 Negotiations have come to a point where Manchester United will see the initial fee rise in connection with appearances and performances (as per daily mail). The initial price, however, is not clear. United have already spent around £60m to acquire the services of Luke Shaw and Ander Herrera. Ed-Woodward has already declared that there is no money barrier this time and also added that they can even break the world transfer record if they find the right player. It remains to be seen if this gets converted into a bidding war.